As I work through creating my line of magickal ornies, I’ve been posting my patterns for free. This way, you and your family can find crafting joy without a price tag. 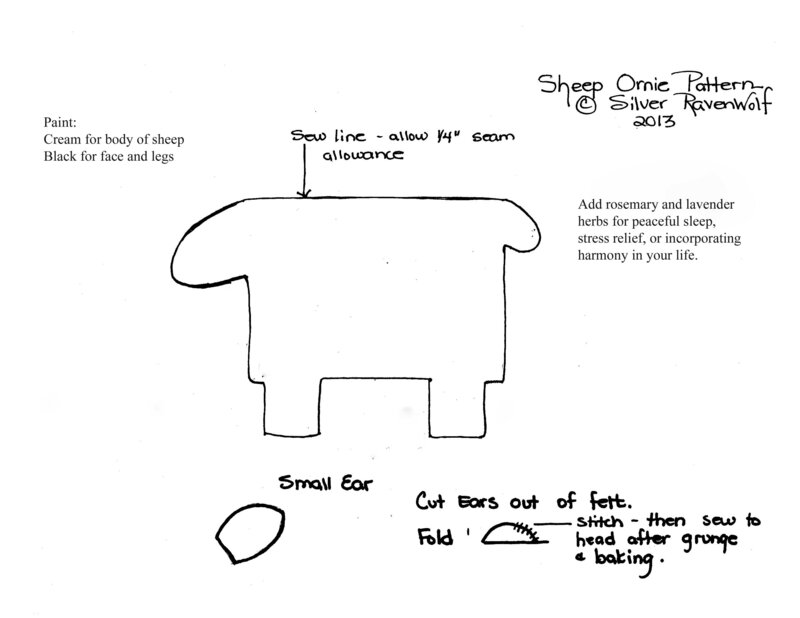 Here is the next pattern — a primitive sheep. I used brads for eyes, felt for the ears, and finished each one with a bit of thick yarn. Expect this pattern to take you a little longer because of painting with two colors. For ease in coverage, I painted with the cream first on the main body, then painted the face and legs. 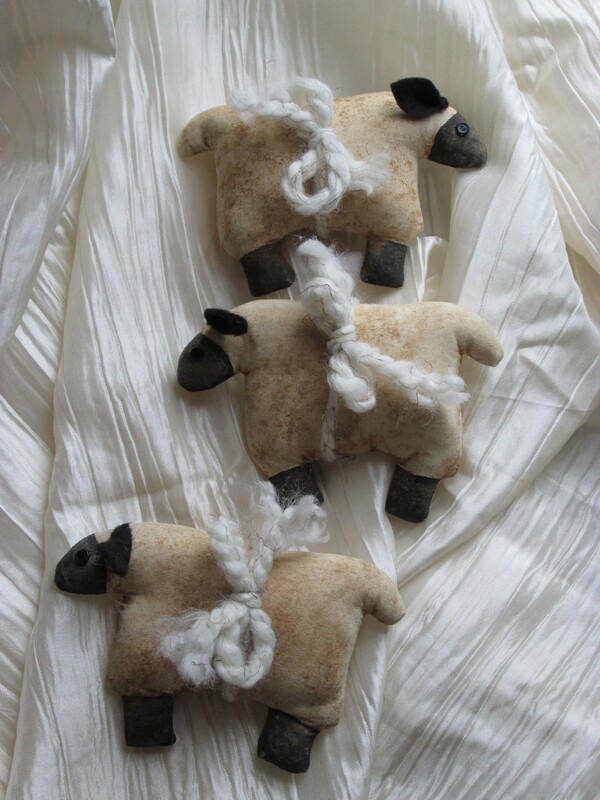 Every sheep takes on his or her own personality due to your painting lines and ear placement. 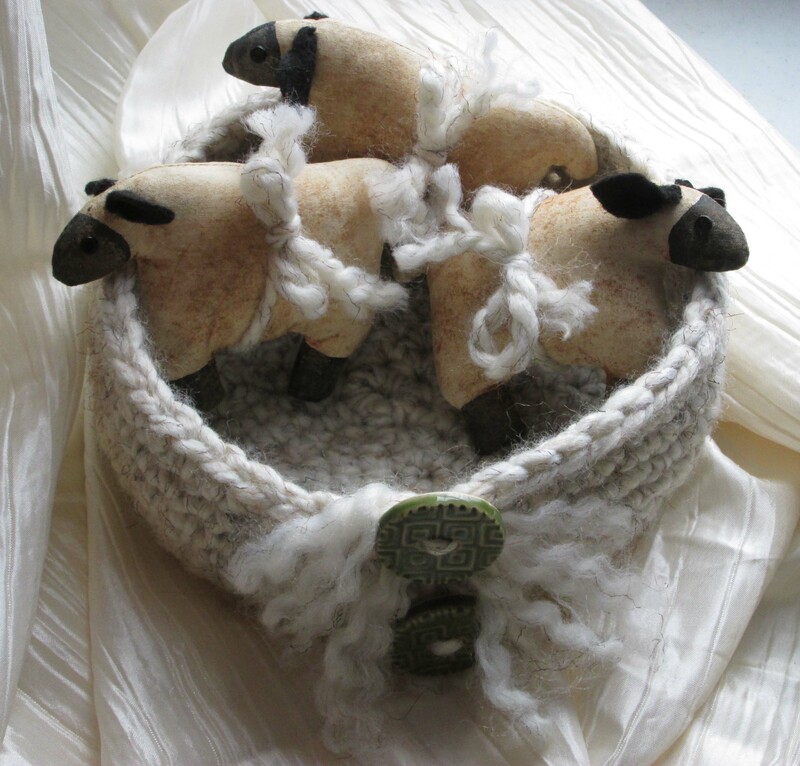 Sheep have quite a few positive correspondences in association with hearth and home. The abundance of food, warm clothing, house and decorative textiles, family unity, and more. 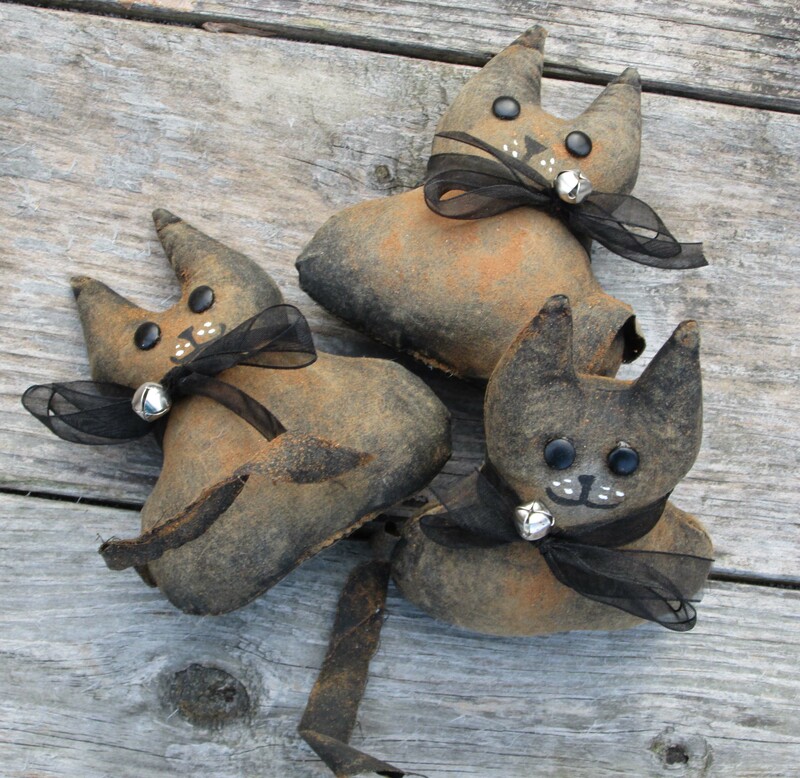 To make them fit what you need in your home, add herbs that match your intent, then stitch up the ornament and empower. Missed the original article and first addition? Not a problem, click on the articles below. As promised, I finished the Fat Cat ornie pattern. 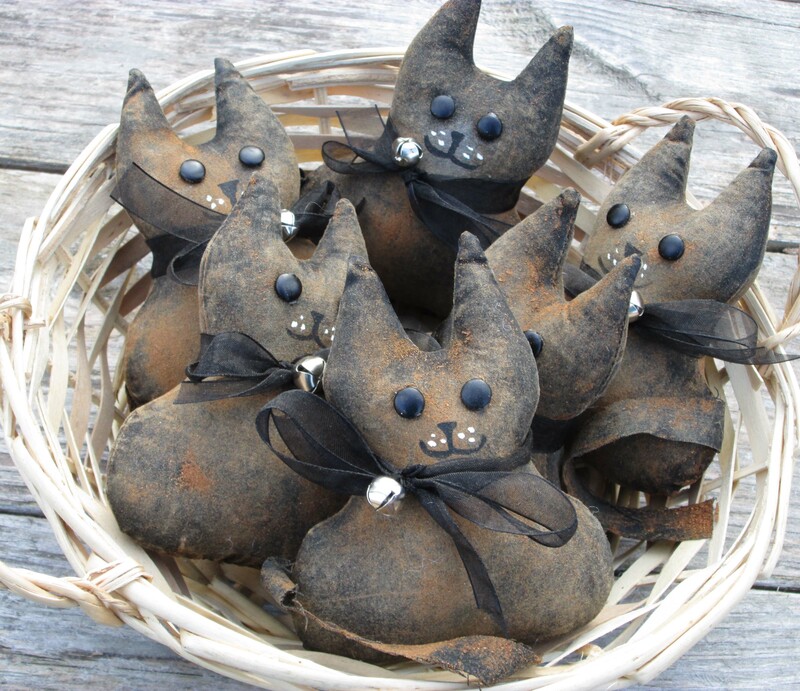 In keeping with many Lucky Black Cat formulas, these little kitties have the addition of Patchouli, Sage, Bay Leaf, Citrus Peel, and Sandalwood stuffed inside (a very small amount). There are two patterns — one of the whole cat, and one if you prefer putting your pattern on a fold. Either can be used with muslin or perhaps felt kittens. 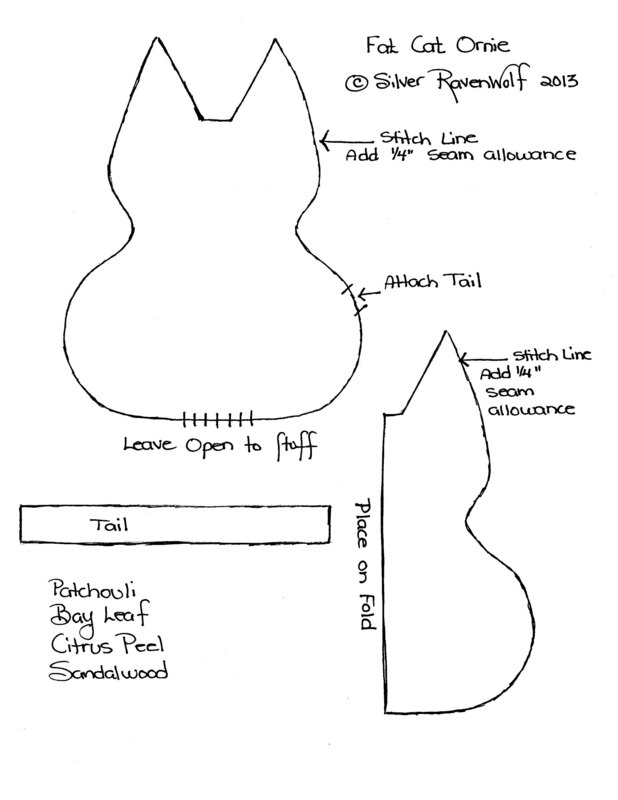 The tail is one straight piece cut out of the same material and allowed to fray (no sewing on tail). You can use whatever you like for the tail — this is just a suggestion. Eyes are metal brads affixed with Liquid Stitch. Ribbon is tied on and secured with embroidery thread and a bell. Faces handpainted with acrylics. Enjoy! Refer to the complete article linked below to learn how to make a basic ornie.